Nan Bangs is the Director, Safety, Health and Risk Reduction for UTC Aerospace Systems, headquartered in Charlotte, North Carolina. Ms. Bangs has responsibility for the execution of the safety programs, technical and program support, integration plans, and driving risk reduction for approximately 140 sites worldwide. Ms. Bangs has over 29 years of experience with environment, health and safety. She previously served as Senior Manager, Environment, Health & Safety for UTC Climate Controls and Security Systems (CCS), headquartered in Farmington, Connecticut. In that role, she led Global EH&S program development and implementation, including the integration of more than 65 facilities over five years. She was also instrumental in assuring REACH compliance with CCS European operations. Her work at UTC corporate headquarters involved leading multiple safety program initiatives, including the development of the UTC Cardinal Rules and the overhauling of the UTC compliance / assurance program. Her background also consists of three years of operational experience as a business unit manager with UTC’s Pratt & Whitney organization. 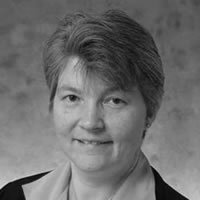 Prior to her employment with UTC, Ms. Bangs worked as an EH&S consultant for ABB Environmental, where she was instrumental in the development of USEPA effluent guidelines for several industries. She conducted compliance audits and developed EH&S management systems for several companies, and performed Phase 1-3 Environmental Site Assessments for various remediation sites. Ms. Bangs holds a Bachelor of Science in Environmental Science from the University of Maine and an MBA from Rensselaer Polytechnic Institute. She is a retired Commander in the U.S. Coast Guard Reserve, a role in which she supported 9/11, Hurricane Katrina recovery efforts and the BP oil spill cleanup activities.